This Monitor Stand Features Articulating Arms and 15 Degrees of Downward Tilt! Buy Wholesale Monitor Stands Designed for 22" LED TVs Online! View our Huge Selection Online Today! 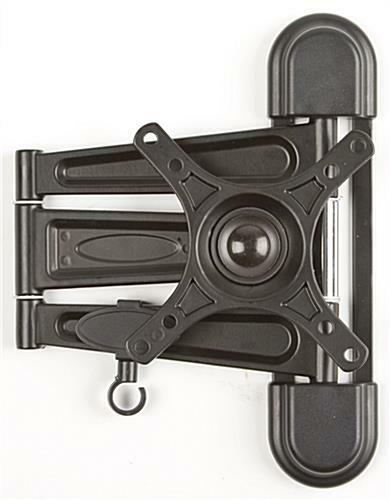 This monitor stand is a VESA compatible mount that has many great features! The monitor stand takes up a mere 2" by 9" area on your wall. 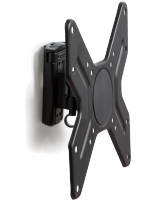 The articulating bracket enables you to extend your flat screen or plasma or LCD television up to 11-1/4" from the wall. The monitor stand also pans side to side and can rotate to display your TV in a portrait or landscape orientation. 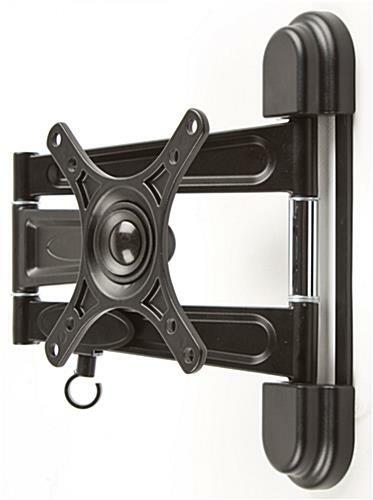 We sell this monitor stand with a variety of hardware options to mount your television to the wall. (Some televisions may need special hardware that can be purchased at your local hardware store.) 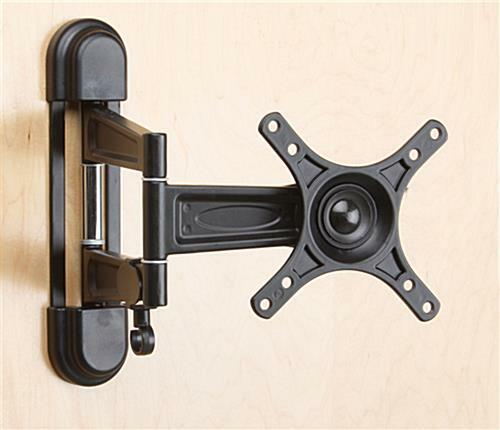 If you have any questions regarding the installation of these plasma wall brackets on your specific wall type, please consult a professional. This wholesale monitor stand designed for 22" LED TV brackets raises an LCD or plasma television on the wall, which makes it easier to see and takes up zero floor space! Monitor stands are the modern way to give your home or business that updated look. Why waste valuable space when there are so many great monitor stands available? This monitor stand, also known as a plasma bracket mount, is engineered to hold a 14" to 24" television, weighing less than 33 pounds. The monitor stand is VESA compatible for 50x50 and 100x100 making it the ideal stand for many televison brands including Samsung, Vizio, NEC and LG. This monitor stand is the ideal addition to every living room or kitchen and is a great choice for commercial establishments such as restaurants and bars.